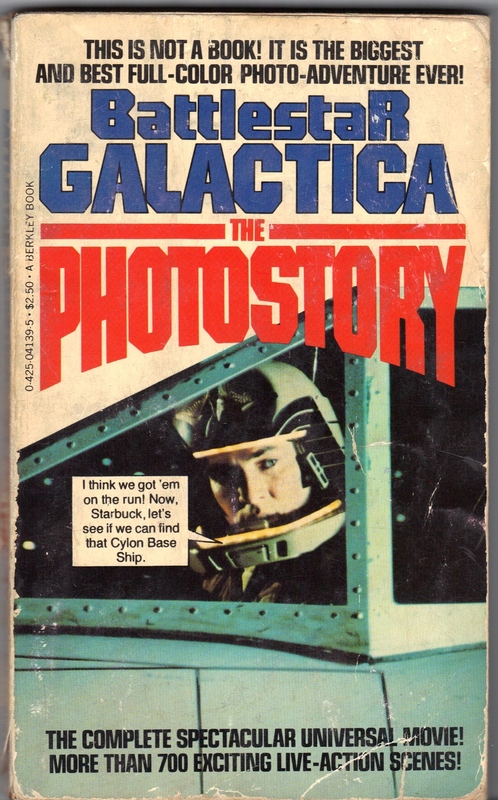 During the ’70s and early ’80s photo novels (sometimes called movie novels) were popular movie or TV tie-in book adaptations. Following the format of a comic book, these adaptations used picture stills instead of artwork to tell a story. 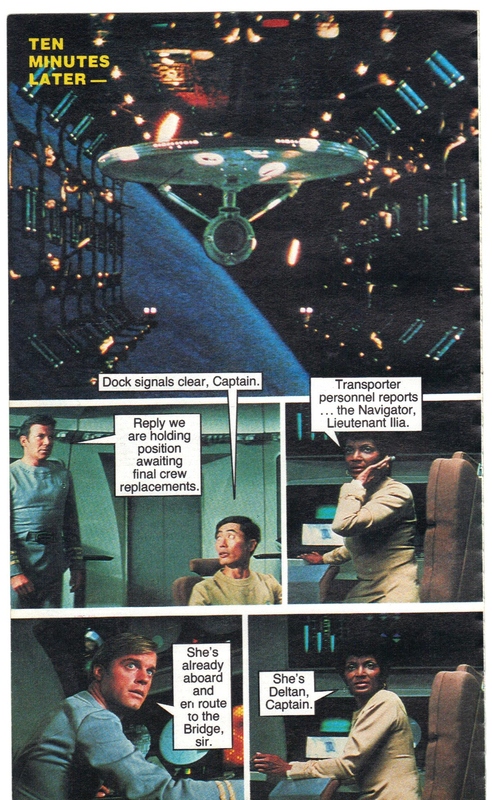 Either word balloons or off-panel dialogue were used and the photo novels were an innovative concept that didn’t go for the traditional adaptation that were sometimes a chore to read. In an age before the VCR or DVD or even the digital download these books were great for fans who wanted to relive in a small way the experience of watching their favorite film or TV show. And there were hundreds of stills that were never seen before. The best books were the large format adaptations of Alien and Outland since the larger book size meant the pictures were bigger. Of course, the trade off was the cover price ($8.95 for Alien as opposed to $2.95 for Star Trek: The Motion Picture!). Sadly, as new technologies emerged and print costs went up these types of books were discontinued in the early ’80s, although one was made for The Blair Witch Project in 2000. Many knew something was amiss when the Star Trek II: The Wrath Of Khan photo novel came out in black and white. The obvious reasoning behind this move was to cut production costs while keeping the book at a reasonable price for consumers. While it featured terrific and rare stills from the movie, the thing wasn’t in color and not visually appealing. On a side note, photo novels are still produced for online viewing. The BBC’s website has several for Classic Doctor Who stories. There are also fan-made and professional photo novels with original stories that are online for Star Wars and other properties. Comic book artist and writer John Byrne announced in June this year of his intent to make an original Star Trek photo novel. There weren’t many photo novels produced (no Star Wars, darn it!) during its heyday, but they are great collectibles for anyone who can find them or unforgettable gifts for fans. The list includes: Alien, Buck Rogers In The 25th Century (the pilot TV film released in theaters), Close Encounters Of The Third Kind, Outland, The Lord Of The Rings (the animated version), Invasion Of The Body Snatchers (the 1978 remake), The Rocky Horror Picture Show, Star Trek: The Motion Picture, Star Trek II: The Wrath Of Khan, The Incredible Hulk (TV pilot), Battlestar Galactica (the TV pilot), and assorted Star Trek episodes (“Amok Time”, “The Trouble With The Tribbles”, The Deadly Years”, among others). I miss the old photo novels. I didn’t realize they had such a short life span. 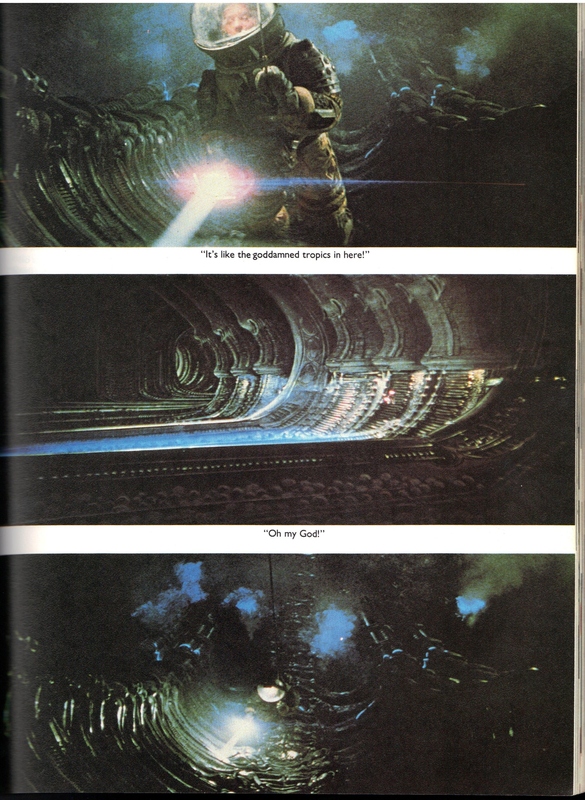 I loved my Close Encounters photo novel so much I wore it out! Thanks for bringing back some fond memories!